The most unusual recording in Breese's audio series. How many years has Uri Geller been on the scene? How come his reputation still lives on? The first part of this recording is devoted entirely to an expose of Uri Geller by the man who knows his secrets. 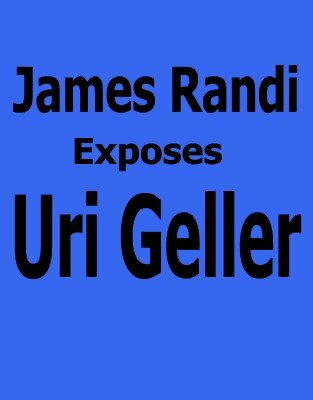 Discover how James Randi can perform mind-boggling Uri Geller style mental effects under exacting conditions and live on TV. The second part is devoted to Randi's own approach to magic and escapology.